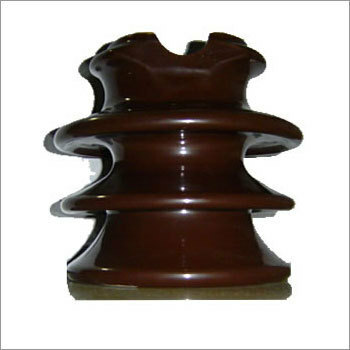 We are a preeminent supplier of 11 KV/22KV/33KV Pin Insulators that are manufactured using premium grade FRP rod, silicon rubber and S.G. iron. The products offered by us are widely used in 11 KV /22KV/33KV power transmission & distributing electrical line of All State Electricity Board. 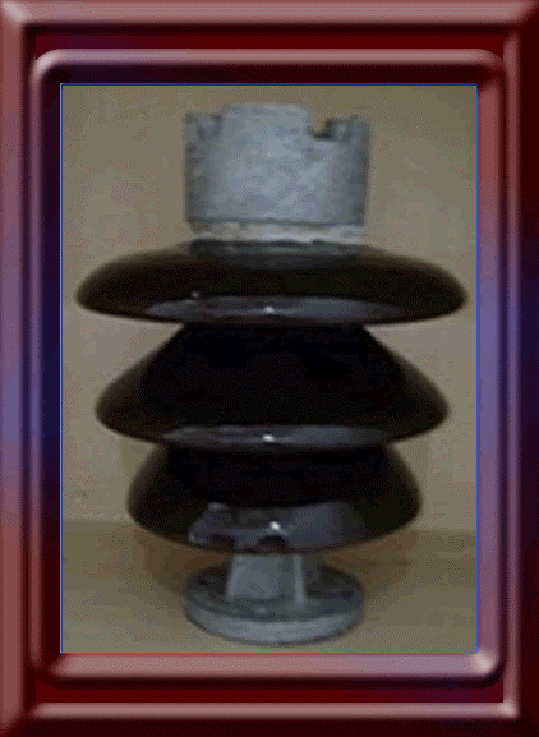 The Disc Insulator is widely used in 11 KV/22KV/33KV Power Transmission & Distribution Electrical line. We have supplied major industries in all over tamilnadu,kerala & Pondicherry . 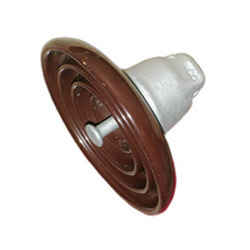 We provide 11 KV/22KV/33KV Disc Insulator in Grey, Red & White colors with packaging in corrugated Box. 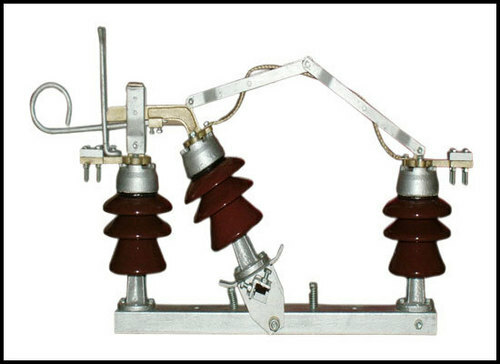 We are supplying a wide range of air break switches that are available in 11 KV/22KV/33KV . These AB switches are used to monitor the flow of electricity through a circuit. Our range of air break switches automatically shuts off electricity when there is any sort of current leakage from faulty switches, wires or electrical appliances. This further reduces the chances of electrocuting a person. We are supplying complete range of Cable Jointing & Termination kits for XLPE, PILC, PVC & EPR Cables from 1.1 kV to 36 kV voltage grades. The heat shrinkable components & tubings undergo cross linking through electron beam radiation process. We are supplying Drop Out Fuse unit which is mainly used to protect power transmission line and the Transformer from power disturbance. The design of DO Fuse set is depends on their uses and application. We are supplying of Horn Gap Fuse set which are used in over head power line and used along with electrical Air Break Switches. 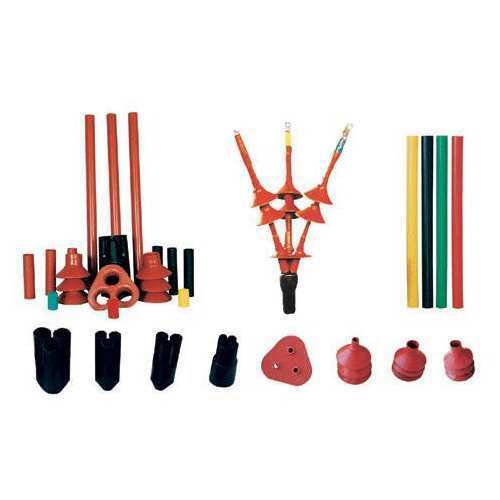 The design of HG Fuse set is depends on their uses and application. 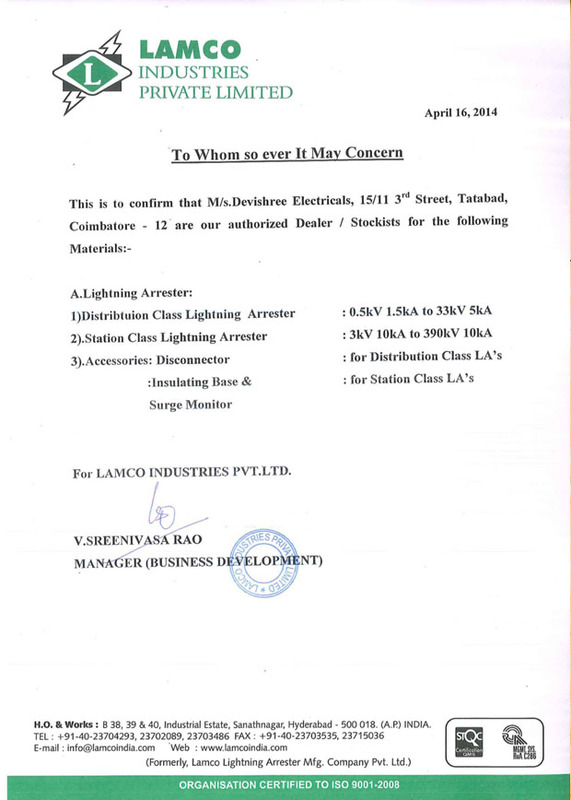 We are supplying below range lightning production devices. 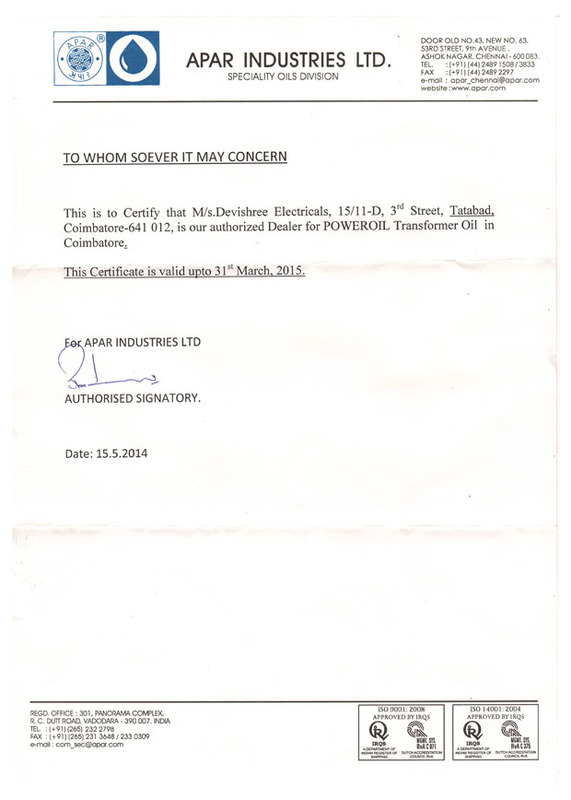 We are stockiest of Transformer Oil (Power Oil) helps cool the transformer. Because it also provides part of the electrical insulation between internal live parts, transformer oil must remain stable at high temperatures for an extended period. To improve cooling of large power transformers, the oil-filled tank may have external radiators through which the oil circulates by natural convection. Very large or high-power transformers (with capacities of thousands of kVA) may also have cooling fans, oil pumps, and even oil-to-water heat exchangers. We are having transformer service and over hauling team. The team have skilled service engineer and technicians to attend all your at any time.